Donald Archer grew up in Southern California during the 1940’s and 50’s---at that time, an area of many orchards, dairy farms and rich agricultural fields. The light and space of California, the monumentality of its landscape, has left an indelible mark on his work. Entering the University of California, Santa Barbara in 1963, Archer chose between a deep interest in both music and art, deciding to pursue a career in painting. After receiving his MFA in 1969, Archer taught for ten years, six of those as an instructor in fine art at the Academy of Art College in San Francisco. Articulating his ideas clarified his direction and led him to devote increasing attention and energy to his own work. In 1979, he resigned his faculty position in order to pursue painting full-time. In addition to numerous solo and group exhibitions in public museums and commercial galleries, Archer participates in selected fine art festivals along the west coast. 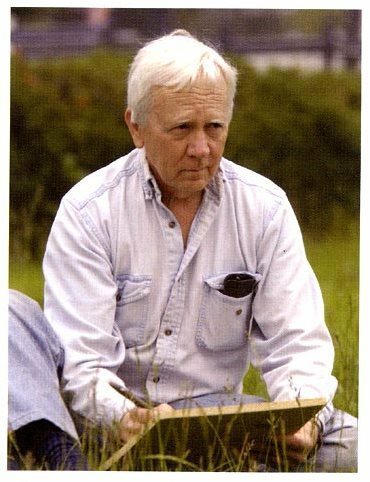 He is a member emeritus of THE OAK GROUP, 26 plein-air painters committed to recording and preserving the natural beauty of California. His work is included in collections, both public and private, throughout the United States and abroad. Archer’s paintings have been featured in AMERICAN ARTIST magazine and SOUTHWEST ART magazine as well as six books, THE OAK GROUP: THE FIRST TEN YEARS; RANCHOS: SANTA BARBARA’S LAND GRANT RANCHOS; THE OAK GROUP: TWENTY YEARS 1986-2006; AMERICAN ART COLLECTOR: VOL. 1, BOOK 1; AMERICAN ART COLLECTOR: VOL. 3, BOOK 1; RANCHES & ROLLING HILLS: ART OF WEST MARIN---A LAND IN TRUST.